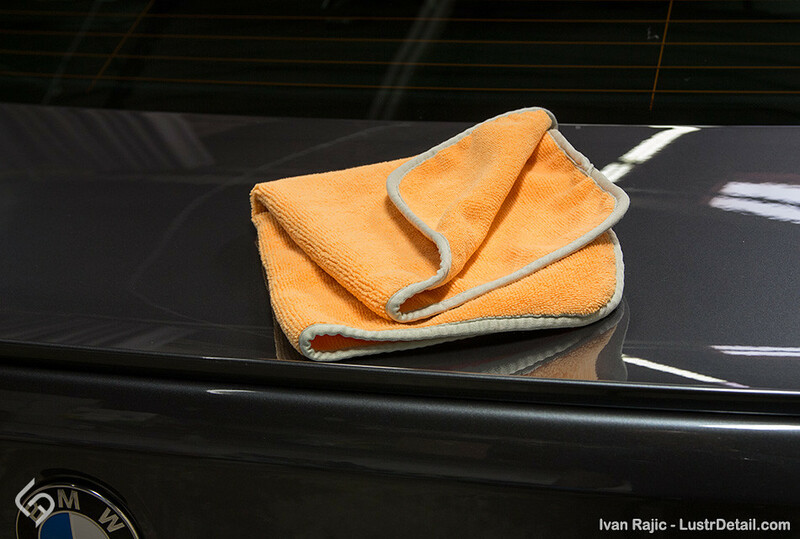 It has been over four years since I wrote a review on Meguiar’s Supreme Shine Microfiber Towels and I have to say that is still my towel of choice. Many towels have come on the market since my review and I’ve tested quite a few of those. Some are more plush, some are softer, however, none stand up to washing and come close to the durability of the Meg’s Supreme Shine towels. Also, it seems the size of choice in the industry is 16×16, so the 16×24 size of the Meg’s Supreme Shine towel is still the best for my use. That said, a few months back Greg sent me a few new towels to try and told me they should be as good or better than the Meg’s towels. As always, I love to try new stuff and remain optimistic. After all, I do have a stash of 200-250 Meg’s Supreme Shine towels just sitting in a box ready to be unpacked, washed and used. The towels I was to test are the new DI Microfiber Premium All Purpose Towels. They are an upgrade to the already great DI Microfiber All Purpose Towel, which is one of only 2-3 other towels I have liked using in terms of performance and durability. Needless to say, I’ve been extremely unhappy with 90%+ towels I’ve tried and I was hoping for the best on this one. 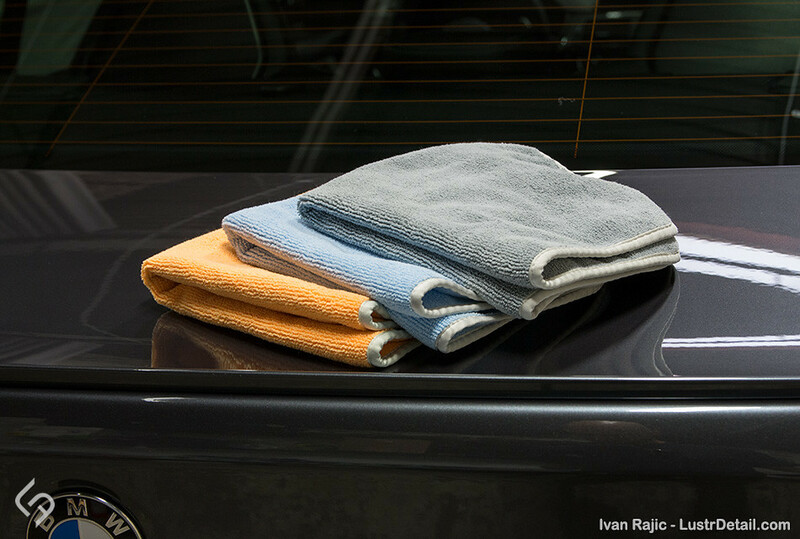 The Premium All Purpose Towel tackles almost any detailing job you throw at it with ease! 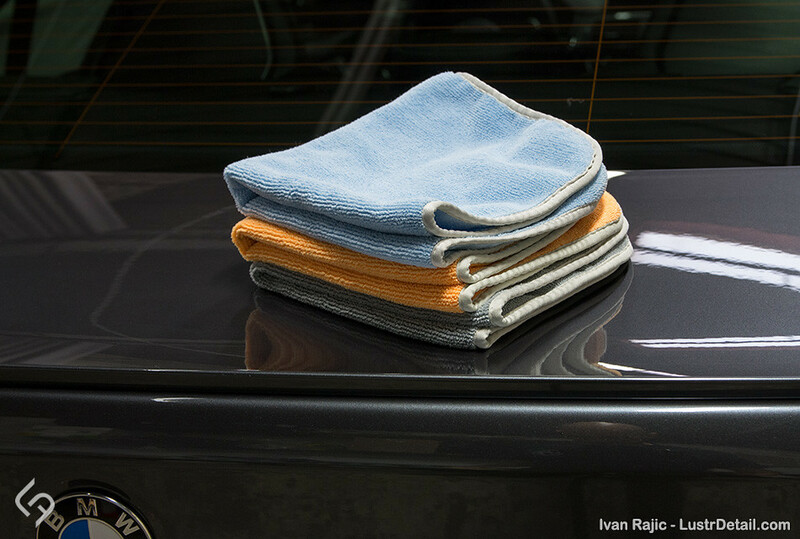 Over the years, the DI Microfiber All Purpose Towel had become a staple in many of our customers detailing arsenals. From interior cleanings, applying a clay lube, polish removal, glazes, sealants, waxes, coatings, etc. no job was too tough for this towel. It also came at a great value, so it was hard to not feature this towel throughout your detail. This got us thinking, how can we take all of the features of the original All Purpose Towel and enhance on that great foundation. Well the answer is the PREMIUM All Purpose Towel! This towel is extremely soft and has the same short nap on either side. The open pores at the end of the fibers in this short nap, are designed to collect and trap particles. This helps pull contamination off the paint and remove it without marring the surface. The original All Purpose Towel had more of a stitched edging and the Premium All Purpose Towel features a super soft silk edge. This edge not only reduces the chance of adding imperfections in the paint, but it helps add to the durability of the towel. If you thought the All Purpose Towel was durable, just wait until you get your hands on the Premium All Purpose! These towels are truly an all around, all purpose towel that you will find indispensable. Use them on your paint, clear coat, navigation screens, center console, gauges, coated wood, glass, wheels, leather, plastics, trim, and even around the house. Take your all purpose cleaning to the next level, pick up the Premium All Purpose Towel and add it to your microfiber collection today! As the description states, the new Premium All Purpose Towels are as advertised. I was immediately impressed with the improved thickness and edge compared to the older all purpose towel. Also, the stitching is definitely better and “safer” or less exposed, which is just another bonus. They come in three colors, orange, blue and grey. I quickly got over the fact that the towels looked and felt good. Been there done that, so in the washer they went for the initial wash. A few days later, I started using all 5-6 towels on a regular basis. This means they were probably used twice weekly for the past few months, which also means they were washed twice weekly for the past few months. I’m very happy to say that I have found a third microfiber towel to add to my arsenal! I’m not counting the glass and drying towels I already use (Waffle Weave towels and Glass towels) and also not including the already mentioned original All Purpose towel I use for everything on the car. I’m simply counting the towels I like to use and keep for paint only, which are the Meg’s Supreme Shine, Rethickulous towels and now these Premium All Purpose towels. Reason I will keep using these and ordering more is simple… they perform very well and they are so far very durable. Unlike other towels that get harder and start fading after a number of washes, these have stayed looking and feeling good for months now. I use the Rethickulous towels mainly for very sensitive paint and for dusting. Meg’s Supreme Shine towels are used for everything on the paint, from polish removal, to sealants to coatings. The Premium All Purpose towels will be used alongside Meg’s Supreme Shine towels in the same fashion and when a thinner towel is easier to hold and handle. To quote Geoffrey’s review on the Premium All Purpose towels product page, “I am going to buy more of these, you should too, you’ll enjoy using it”. Good to hear the Meguiars Supreme Shine towels are as good as I thought. I use them for all things paint related too. I get a little sad when one gets a stain. If the DI all purpose MF’s are close to Meg’s MF I will have to try them. Ivan, I am glad I’m not the only one who really likes these towels. Don't be abusive: no personal attacks or any other nastiness. Greg's service attitude is so refreshing. I'm sure it is a big part of your success.